The business suite is very comfortable. we had 2 seperate rooms with lounge area in the middle. The location is one of the best in the city, especially for anyone accustomed to an international city. Shopping and food are right next to the hotel, great sights are all within easy walking distance. The studio is well-appointed, aesthetically pleasing and has a comfy bedroom. The lovely view of the city, with many full-length windows, (and a few that open!) makes it a nice place to relax when not sightseeing. For winter weather, the customizable heating and cooling in both rooms of the comfort studio was appreciated. Bathtub and shower, including a shower head and rainfall shower are also nice touches. The well-equipped mini-kitchen has a good quality convection stove and single range, as well as cutlery and dishes. The Wellness/Fitness Center is modern and spacious. Marta, Guest Manager, speaks English and was most helpful in listening to my needs and was most attentive! She managed to find me a quiet place in the hotel. The cleaning staff was professional and helpful as well. Very nice service apartment. Has all the amenities in the room. The staff was good. 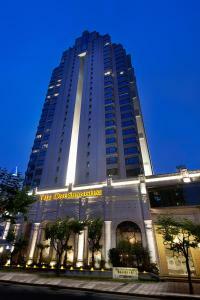 Excellent location - Good Breakfast - Courteous staffs - Comfortable/Clean Room; Overall Enjoy My Stay. Staff are really friendly and helpful. The rooms are quiet even though quite close to main traffic route. Set up of the room user friendly. I have been stayed here more than 4 times in the last 2 years. It's our first choice in Shanghai. 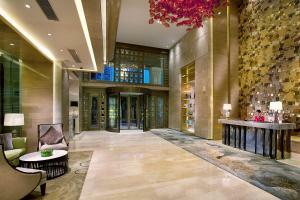 premier location, 5 minutes walk to several metro lines stations, and next the the world famous Nanjing Road. comfort room, clear room service, friendly staff. Some staff was able to recognize us when we checkin! We love this hotel so much. The staff was very friendly and speaks English very well. They also helped us translate all the places we would like to go in Mandarin so that we can flash the details to the taxi driver. Room was very big and very comfortable. Love the bed and the cleanliness of the room. I didn't want to leave this hotel because it was so awesome! Locations, neighbourhood areas as it was within walk in distance to shops, museum and park as well as metro to stroll around. Everything in the room was well managed, always found the room cleaned. Staff was always at your service. 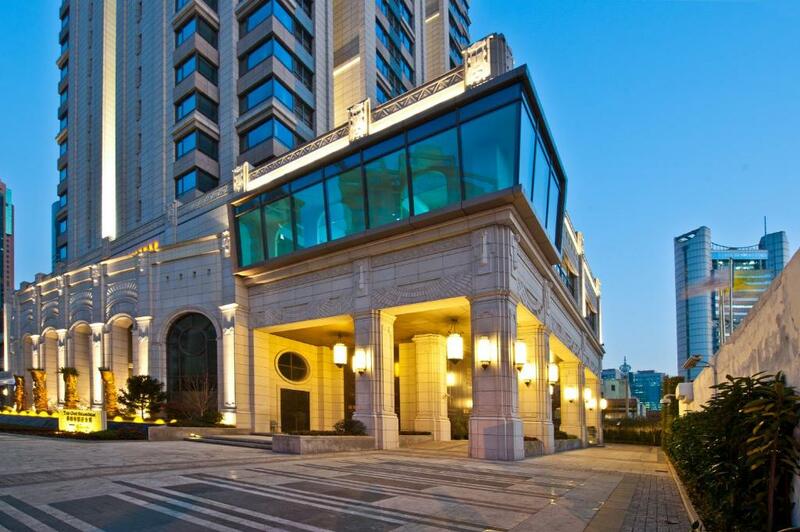 Lock in a great price for THE ONE Executive Suites Managed by Kempinski - Shanghai – rated 8.5 by recent guests! One of our top picks in Shanghai.Featuring sophisticated European Art-Deco design and free wired internet, THE ONE Executive Suites Managed by Kempinski - Shanghai is next to West Nanjing Road and Huaihai Road. Overlooking the Shanghai skyline, the elegant studios and suites all come with a living room, a flat-screen TV and iPod dock. The small kitchen has a microwave, induction cook field and imported kitchenware. Private bathrooms come with a bathtub and shower. THE ONE Executive Suites Managed by Kempinski - Shanghai is around a 7-minute drive from People's Square and around an 8-minute walk from West Nanjing Road Subway Station (Line 2, Line 12 and Line 13). It is around a 10-minute drive from Shanghai Railway Station and around a 35-minute drive from Hongqiao International Airport. Pudong International Airport is around a 50-minute drive away. Car rentals, day trips and airport transfers can be arranged at the tour desk. Luggage can be stored at the 24-hour front desk. Dining options include Hotel Lobby Lounge and a Japanese restaurant. Daily breakfast is also served at the property. 뀐 Located in the real heart of Shanghai, this property has an excellent location score of 8.9! 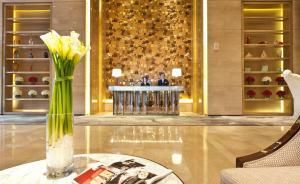 When would you like to stay at THE ONE Executive Suites Managed by Kempinski - Shanghai? Overlooking Shanghai's skyline, air-conditioned studio comes with a separate living room with a flat-screen TV and iPod docking station and a fully-featured kitchenette. The private bathroom includes a bathtub and shower. Please note that there's no space for an extra bed in the room. Public parking is available on site (reservation is not possible) and costs CNY 100 per day. 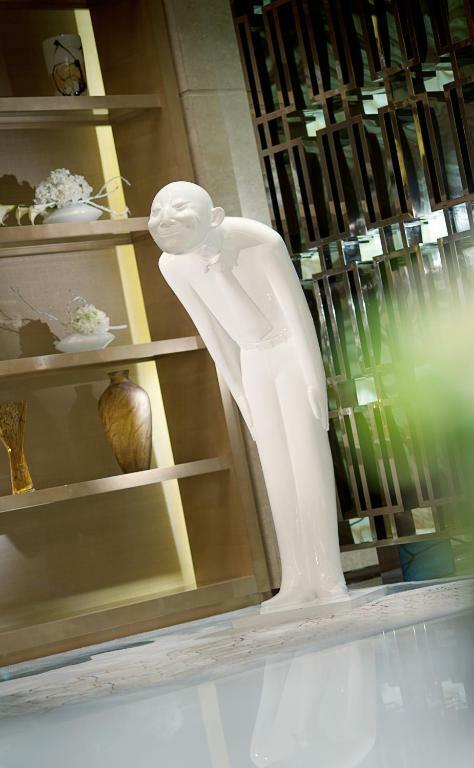 Overlooking Shanghai's skyline, the design studio features modern and fashionable furnishings. It is elegantly decorated and has a separate living room and a fully-featured kitchenette. Please note that there is no capacity for an extra bed in the room. 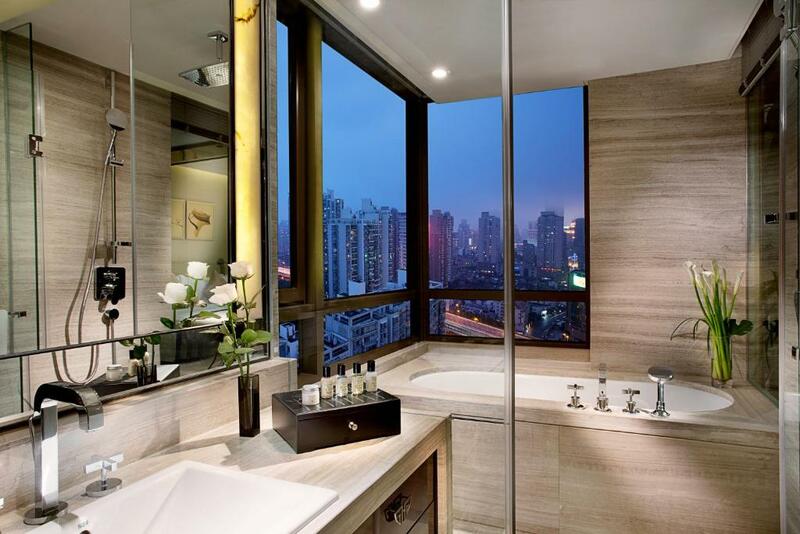 Overlooking Shanghai's skyline, the spacious suite has a fully equipped kitchenette. Any request for extra bed/crib has to be confirmed by the hotel. Overlooking Shanghai's skyline, this spacious air-conditioned suite has a separate living room with a flat-screen TV and iPod dock and a fully-featured kitchenette. The private bathroom has a bathtub and shower. This suite has a washing machine, dining area and stovetop. Room rate includes breakfast for 2 people only. For those who need extra breakfast, an additional fee will apply. House Rules THE ONE Executive Suites Managed by Kempinski - Shanghai takes special requests – add in the next step! A CNY1000 damage deposit is required on arrival (around USD149.14). This deposit will be fully refunded 14 days after check-out, as long as there isn't any damage to the property. All children under 16 years are charged CNY 366 per night for extra beds. 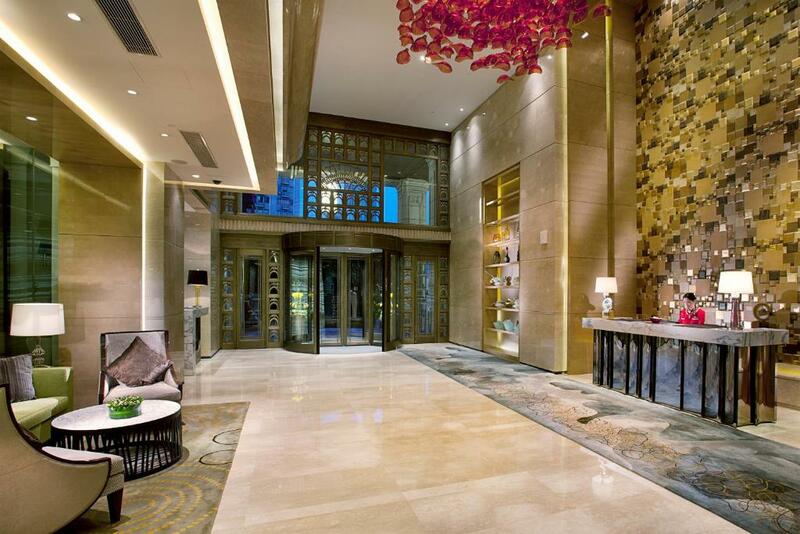 THE ONE Executive Suites Managed by Kempinski - Shanghai accepts these cards and reserves the right to temporarily hold an amount prior to arrival. Car rentals and airport transfers are available. Requests have to be made at least 1 day in advance. Please be noticed that guests can only use the guest room for accommodations purposes and will not use any room or other area of the hotel for commercial use or film shooting. A damage deposit of CNY 1000 is required on arrival. That's about 149.14USD. This will be collected by credit card. You should be reimbursed within 14 days of check-out. Your deposit will be refunded in full by credit card, subject to an inspection of the property. Please inform THE ONE Executive Suites Managed by Kempinski - Shanghai of your expected arrival time in advance. You can use the Special Requests box when booking, or contact the property directly using the contact details in your confirmation. Great location, great staff, interior was bit too Chinese for my taste but overall good experience and definitely worth the money. Room’s functional details. Poor light in the bathroom. Breakfast. Location. Size of room. Comfortable bed. The property did seem a bit dated and could do with touch of modern refurbishment, but all in all, it was great value for money and I really couldn’t complain. Amazing location - possibly the best location in Shanghai. 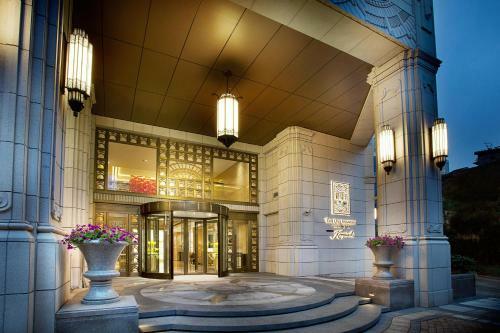 Smack bang in the middle of Nanjing Road, and around 3 minutes walk away from Nanjing East Station, which connects you to the rest of Shanghai through lines 2, 12 and 13 of the Shanghai Metro. The Bund is literally a 15 minute walk away, and there’s an abundance of restaurants and eateries within a stones throw away, including one of the best Halal restaurants I’ve eaten at. The Deluxe Suite was spacious, and offered an amazing West facing city view. The staff were also incredibly helpful. Lovely suite, conveniently located and friendly helpful staff. French concession accessible on foot (25min), subway and malls close by. Beds are super comfortable. The room is old and wifi can't connect to many websites. Location and the view of the room. especially staff at reception were very friendly and helpfull and supportive! Location is hard to find by walk, no dinner buffet and the la cartel dinner was very expensive and poor.